Did you know that the Gentiles cannot fulfil their God-given role in hastening Yeshua’s (Jesus) return without their Jewish brethren? Nor can the Jews – we need each other! 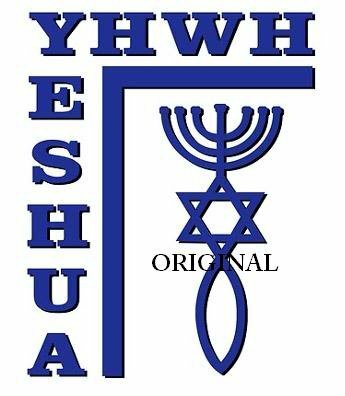 We need Israel and they need the true believers – Judeo Christians …since we are Biblically and Prophetically connected! What is Replacement Theology…? The root of it is Satan’s hatred of the Jewish people …and he is using people and even in the Church with lies that God has forsaken His chosen people. Satan hates the Jews with a passion for several reasons; Firstly, God chose them to be His witness to the world and through them God gave the world the Bible and most importantly it is through them that God gave the world the Messiah, Yeshua (Jesus). Secondly, God has promised that He will save a great remnant of them and has promised that through that remnant He will bless all the nations of the world during the Millennial reign of Messiah. Therefore, Satan is determined to destroy every Jew on planet earth so that God cannot keep His promises to them! “Replacement Theology” - theory rests chiefly on the idea that the whole or part of the Abrahamic Covenant made by God to Israel has been abolished! The Bible has this Covenant that promises to Israel the “eternal ownership” of the Land of Canaan (Genesis 17:7-8). Once this “eternal promise” has been removed, then present-day restoration of Israel means nothing and her only hope is now in the Church and not God. Replacement theology is also known as “supersessionism” (to succeed) which teaches that the Church has replaced Israel in God’s plan. In other words – God changed His mind? Those who teach replacement theology believe the Jews are NO longer God’s chosen people, and that God does not have specific future plans for the nation of Israel. 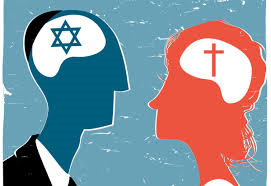 Among the different views of the relationship between the Church and Israel are that the Church has that Israel is irreverent (Replacement Theology) and the Church is merely an expansion of Israel. These Churches tend to avoid Bible Prophecy altogether! They look at Bible Prophecy is merely symbolic or figuratively and not to be taken literally or seriously. The roots of Replacement Theology and its fruit of Anti-Semitism go back to the very beginning of Christianity! The Church began as a Jewish institution and was founded in Judea by Jews who were followers of a Jewish Messiah - Yeshua, and all its founding documents were written by Jewish hands. In the 1st Century a Jewish-Christian Symbol was “the sign of the fish!” The Jewish nature of the early Church is attested to by this symbol and is the oldest Christian symbol that has ever been found. It is carved into artefacts found in Jerusalem. It shows the fish, the symbol of the Church, emerging from Jewish roots, represented by the Menorah and the Star of David. The fish became a symbol for Christians because the word for fish in Greek is ICTHUS …an acronym for Jesus Christ, God’s Son and Saviour. As the Church began to spread beyond its Judean origin (Israel) …and as it embraced more and more Gentiles, it quickly lost touch with its Jewish roots. This process was accelerated by the destruction of the mother Church in Jerusalem during the Second Jewish Revolt against the Romans that ended in 136 AD. Christian apologists, starting as early as the 2nd Century, began to turn against the Jews, characterizing them as - "Christ Killers!" Consider some examples: (1) The Epistle of Barnabus (100 AD) - this writing was a contender for inclusion in the Bible. It is a good demonstration of how profoundly Greek methods of interpretation had already impacted Christians. The writer insisted that the Old Testament was never meant to be read literally but was to be interpreted allegorically. The writer argued that; "only the Christian could make sense of the Bible." The "carnal Jews," with their "earthly mind-set," had failed to recognize the hidden message of their own Scriptures. And, as a result, had eternally forfeited their entitlement to the covenant promises made to Abraham, Isaac and Jacob. (2) Ignatius of Antioch (50-117 AD) claimed that "those who partake of the Passover are partakers with those who killed Jesus!" (3) Justin Martyr (100-165 AD) claimed God’s covenant with Israel was no longer valid and that the Gentiles had replaced the Jews. Additionally, he was the first to identify the Church as "the true spiritual Israel," and he declared that the plight of the Jews - their exile and persecution, all had happened "in fairness and justice," because they had "slain the Just One - Jesus." (4) Irenaeus (130-202 AD) was a student of Polycarp who, in turn, was a disciple of the Apostle John, declared that "the house of Jacob and the people of Israel are dis-inherited from the grace of God." And, argued this because they "have rejected the Son of God" and "they slew Him!" (5) Clement of Alexandria (150-215 AD) claimed that Israel "denied the Lord" and thus "forfeited the place of the true Israel." (6) Hippolytus of Rome (170-235 AD) is considered by many to be the most important theologian of the 3rd Century. He was a student of Irenaeus and declared that the Jews had been "darkened in the eyes of their souls" … "with a darkness utter and everlasting." And, further stated that they were destined to be; "slaves to the nations, not for 400 hundred years as in Egypt, nor 70 as in Babylon, but for always." (7) Tertullian of Carthage (155-230 AD) blamed the Jews for the death of Jesus and argued they had been rejected by God. The question asked by those who defend "Replacement theology" is this … "Considering the suffering the Jews have experienced over the centuries, doesn’t this indicate that God has rejected them?" But, this argument inverts the reality that replacement theology was actually more of a cause of this tragic history than an effect. The history of the Jewish people provides a stronger argument against replacement theology than for replacement theology. As horrible as the history of the Jews has been, we believe it is a sign of God’s absolute faithfulness, rather than a sign of His rejection. The continued existence of the Jewish race in spite of numerous persecutions and threats and attempts at genocide throughout Jewish history is evidence of Divine intervention. Despite being stripped of their homeland, scattered to the four corners of the earth; despite repeated attempts at forced conversions and their own attempts of assimilation, the Jews have survived as a distinct nation. No other ethnic group in the history of mankind has been dispersed, faced such odds and yet endured. What explains this apparent invincibility? The God of Israel. In the words of Malachi: "I the Lord do not change. So, you, O sons of Jacob, are not consumed." Malachi 3:6. Yeshua (Jesus) said; "No one takes it from Me, but I lay it down of Myself. I have authority to lay it down, and I have authority to take it again. This commandment I received from My Father." – John 10:18. You see it was both Roman and Jews who did it together but what were our Lord’s last words on the cross; "Father forgive them for they know not what they doing! "- Luke 23:34. He spoke about all of "them" collectively! Our Lord looked down from the cross upon a scene that must have been distressing to Him. The Roman soldiers were gambling for His clothing (John 19:23-24); the criminals on the crosses to either side of Him were reviling Him (Matthew 27:44); the religious leaders were mocking Him (Matthew 27:41-43); and the crowd was blaspheming Him (Matthew 27:39). Surrounded by this most unworthy lot, Yeshua (Jesus) prayed for ALL of them. "Father, forgive them" is a prayer of unmatched mercy and love. We believe that only in Yeshua (Jesus) can there be salvation for Jews and Gentiles alike (Romans 1:16-17). And, we do NOT believe that the promise of God in the Abrahamic Covenant bequeathing the land of Canaan to Israel has been removed since God’s Word never changes; "This is what the Lord says, he who appoints the sun to shine by day, who decrees the moon and stars to shine by night, who stirs up the sea so that the waves roar -- the Lord Almighty is his name: "Only if these decrees vanish from my sight," declares the Lord, "will the descendants of Israel ever cease to be a nation before me." This is what the Lord says: "Only if the heavens above can be measured and the foundations of the earth below be searched out will I reject all the descendants of Israel because of all they have done," declares the Lord," Jeremiah 31:35-37. Do these ordinances still exist today? Is the sun still shining in the sky? Does the moon and the stars still appear at night? Isn't it remarkable that with all the achievements of science, and with all the explorations of space, the sending out of these space travellers out to explore the planetary system and even beyond, yet we still have not learned how to measure the universe in which we live. The prophet says, "Only if heavens above can be measured and the foundations of the earth searched out beneath...!" We have done neither of those. We have found theories, but no one has been able to explore in this area. Therefore, God says; "If heaven can be measured, and the and foundations of the earth searched out beneath, I will also cast off all the seed of Israel for all that they have done," says the Lord." Jeremiah 31:37. Now, that's a most remarkable promise! God has bound himself, by the faithfulness of his Being and of his Word, that Israel shall have a place in his program as long as the heavens and the earth remain. God will never cast them off as long as the sun and the moon maintain themselves in their courses and as long as long as the scope of the heavens remains to be measured and the interior of the earth remains unexplored. Therefore, Israel’s modern restoration to the land of Canaan (Israel) is indeed fulfilment of that promise (Ezekiel 36:24-28) and constitutes a milestone on her ‘way home’ to her Messiah Yeshua. So, what does “Replacement theology” teach? It erroneously teaches that the Church is the replacement for Israel and that the many promises made to Israel in the Bible are fulfilled in the Christian Church, not in Israel. The Prophecies in Scripture concerning the blessing and restoration of Israel to the Promised Land are spiritualized or allegorized into promises of God’s blessing for the Church. Major problems exist with this view, such as the continuing existence of the Jewish people throughout the centuries and especially with the revival of the modern state of Israel. If Israel has been condemned by God and there is NO future for the Jewish nation then how do we explain the supernatural survival of the Jewish people over the past 2,000 years despite the many attempts to destroy them? How do we then explain - why and how Israel reappears as a nation in the 20th Century after NOT existing for 1,900 years? The view that Israel and the Church are different is clearly taught in the New Testament. Biblically speaking, the Church is distinct from Israel, and the terms Church and Israel are never to be confused or used interchangeably. We are taught from Scripture that the Church is an entirely new creation that came into being on the day of Pentecost and will continue until it is taken to heaven at the rapture (Ephesians 1:9-11; 1 Thessalonians 4:13-17). The Church has no relationship to the curses and blessings for Israel. The covenants, promises, and warnings of the Mosaic Covenant were valid only for Israel. Israel has been temporarily set aside in God’s program during these past 2,000 years of dispersion (Romans 11). Contrary to Replacement Theology Rapture (1 Thessalonians 4:13-18), dispensationalism teaches that, after the, God will restore Israel as the primary focus of His plan. The first event at this time is the Tribulation (Revelation chapters 6–19). The world will be judged for rejecting Christ, while Israel is prepared through the trials of the Great Tribulation for the Second Coming of the Messiah. Then, when Christ does return to the earth at the end of the tribulation, Israel will be ready to receive Him. The remnant of Israel who survives the Tribulation will be saved, and the Lord will establish His kingdom on this earth with Jerusalem as its capital. With Christ reigning as King, Israel will be the leading nation and representatives from all nations will come to Jerusalem to honour and worship the King Yeshua (Jesus Christ). The Church will return with Christ and will reign with Him for a literal 1,000 years (Revelation 20:1-5). The Old Testament and the New Testament support a pre-millennial -dispensational understanding of God’s plan for Israel. The strongest support for pre-millennialism is found in the clear teaching of Revelation 20:1-7, where it says six times that Christ’s kingdom will last 1,000 years. After the tribulation the Lord will return and establish His kingdom with the nation of Israel, Christ will reign over the whole earth, and Israel will be the leader of the nations. The Church will reign with Him for a literal thousand years. The Church has not replaced Israel in God's plan. While God may be focusing His attention primarily on the Church in this dispensation of grace, God has not forgotten Israel and will one day restore Israel to His intended role as the nation He has chosen (Romans 11). The spiritual conflict that rages over Israel is on the battleground of Replacement Theology and Anti-Semitism. While we reject this theological concept, it is worth noting that it is a 'new' that has strengthened itself over many centuries within Churches of all traditions. It is therefore NOT easily removed and yet we are called to do so with the “sword of the Spirit” and the Word of God. To some degree, Replacement theology is so deceptive because it rests on half-truths. For instance, the Church is the “Israel of God” but NOT in a replacement sense (Galatians 6:14-16). In essence, Replacement Theology erroneously removes from Israel a national destiny in the land of Canaan (today Israel) because of her rejection of Yeshua (Jesus) Messianic credentials. All the biblical statements of Israel enjoying future blessings in the land of Canaan are said to be descriptions of the spiritual blessings that now accrue to the Church. The expectation of a “physical kingdom” has been spiritualized and taken from Israel and given to the Gentiles (Matthew 21:43) - even though Yeshua (Jesus) never denied that the “physical kingdom” would be restored to Israel (Acts 1:6-7). That this way of expounding Scripture completely violates the principles of biblical exposition is of little importance to them. We should interpret Scripture by the nature of the text. If it is literal, then we should interpret it literally, but if it is spiritual or figurative, then we should respond accordingly. For instance, Yeshua (Jesus said), “I am the door!” Does this mean He actually is a door? Of course not! The context is clearly figurative and needs to be interpreted as such. Some argue that Paul’s teaching in the Book of Galatians concerning God’s promise in Abraham being made not to his “seed”, plural, that is the people of Israel, but to his “seed” singular, meaning Yeshua (Jesus) - (Galatians 3:15-18). Therefore, they conclude that since the “seed” Christ has come, the promise to the “seed” of Abraham as in plural - meaning the people - has been removed! They have forfeited the land! The truth is that Paul also uses the term “Abraham’s seed” in the plural in the New Testament (Romans 9:6-7). In other words, both interpretations of the term “seed” are true! 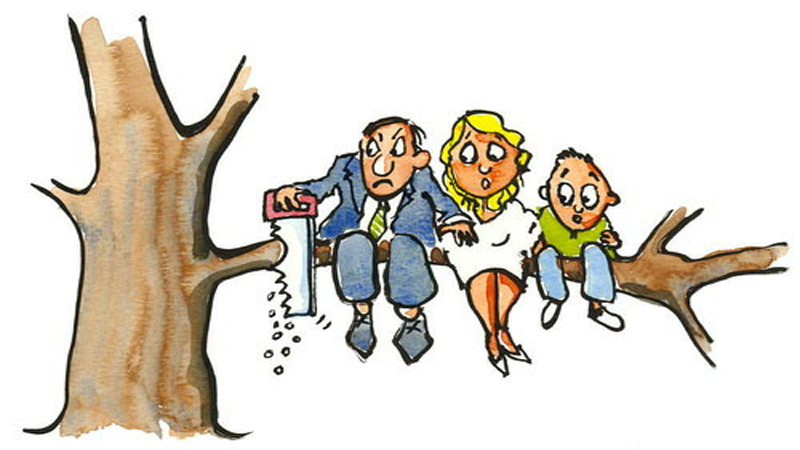 Abraham’s seed is singular and plural. The blessing God promised in Abraham is only in Yeshua - Christ Jesus because He died for the whole world, but, the mediation or means by which this blessed “seed” comes into the world is through the “seed” plural - the people of Israel. The one truth does not contradict the other. 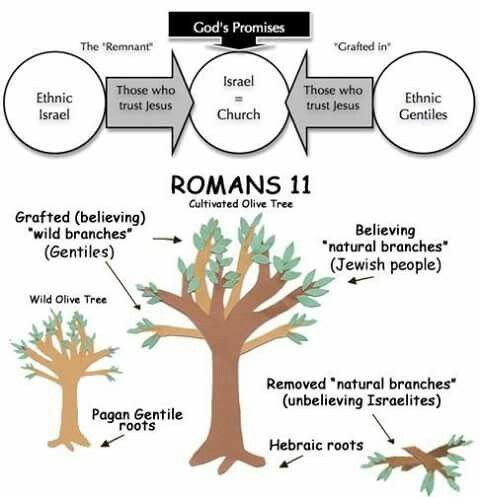 Both truths are in fact interdependent (Romans 9:1-5), hence the extensive genealogy of Yeshua (Jesus) given in the Gospels of Matthew and Luke (Matthew 1:1-17; Luke 3:23-38). The Bible nowhere states that the promises of God in Abraham concerning Israel’s everlasting possession of the Land of Canaan are removed! In fact, everywhere it affirms the opposite! That is, that a day is coming when Israel will be restored to the land and to her Messiah (Ezekiel 36:24-32). This passage from Ezekiel teaches the very opposite of Replacement Theology, in that Israel’s rebellion and sin has NOT led to land forfeiture but to judgment and correction …yet in the end God will, for His Name’s sake, restore Israel to her ancient land and to Himself! He does this in spite of her history of rebellion and sin. The truth is that Replacement Theology reflects the heart of man and not that of God! The Scriptures refute it. Yeshua (Jesus) came to confirm the promises to the Fathers, not to reconstruct them (Romans 15:7-9). Confirm means CONFIRM! He takes away nothing but reinforces every promise that God made to the fathers (Acts 3:22-26). Peter affirms that there must be a time of “restoration of all things” before Messiah returns. 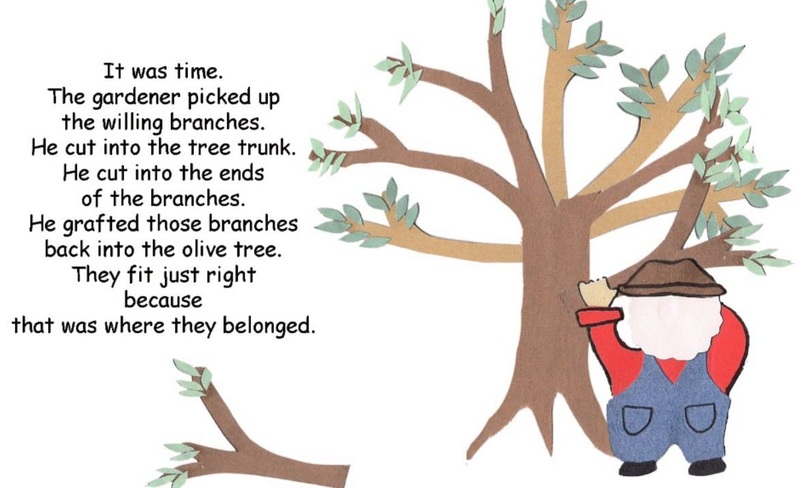 This “restoration of all things” is spoken about by all the prophets - meaning a final re-gathering to the Land of Canaan and repentance leading to salvation in Yeshua (Jesus) - (Amos 9:11-15; Jeremiah 36:26-28). The fact that the Jews have NOT disappeared despite numerous attempts to annihilate them is one of the strongest arguments against Replacement Theology. Another fact of Jewish history that exposes the flaws of “replacement theology” is found in the last century - the return of the dispersed Jewish nation to their historic homeland, and the establishment of the State of Israel. If God has cast off the Jews and no longer has any interest in Israel’s continued existence how could the Jewish people have arisen from the ashes of the holocaust to establish a sovereign state on the very same piece of real estate they lost 2000 years ago. Is this an accident? Absolutely not! It is a miracle of the first order …and a fulfilment of Biblical Prophecy! Israel has always been God’s vehicle of world redemption (Romans 9:1-5). In a way, she is God’s microphone, the means by which He speaks to a lost world. Moreover, she has birthed all God’s covenants into the world and has now come back to her ancient homeland, by the promise of the Abrahamic Covenant, to birth the final great covenant of history, the Davidic Covenant. Herein lies the ultimate purpose of her modern-day restoration. Yeshua (Jesus) will return to Zion as the root and offspring of David (Revelation 22:1-6; Psalm 2:1-12; Psalm 72:5-11). No wonder the conflict over Zion is so great. Our ministry, partnered with you, is removing the stumbling blocks from Zion and thereby preparing her for the arrival of her great and most blessed King (Isaiah 62:10). Replacement theology is thus an instrument of the “powers of darkness” to frustrate the purpose of God, by disconnecting the Church from this final great redemptive initiative in history. We reject it and stand fully on the promises of God concerning Israel and the Church. How can we be sure that interpreting the Bible literally is the best method? One argument is that hundreds of Bible prophecies have already been fulfilled literally, even to minute detail. Consider a few predictions regarding the Messiah: Isaiah 7:14 predicted the Messiah would be born of a virgin. Micah 5:2 predicted that He would be born in Bethlehem. Psalm 22:7-8 and Isaiah 53:1 predicted He would face the ridicule and unbelief of the people. Psalm 22:16-18 predicted that His hands and feet would be pierced and that His clothing would be divided and lots cast for them. Isaiah 53:9-10 predicted He would be put to death with wicked men yet buried with the rich, and that He would prolong His days (resurrection) afterward. If prophecies in the Old Testament concerning Yeshua were fulfilled literally - shouldn’t the logical expectation be that Bible prophecy concerning Israel and the Jewish people will also be literally fulfilled? Those who teach replacement theology stubbornly insist that prophecy concerning Israel is fulfilled “symbolically” and “spiritually” by the Church. The result is the annulment of all prophetic scripture that pertains to Israel. An important question arises, “Has the Church in her history ever been scattered and exiled among the nations as the prophets foretold? Did the prophet Ezekiel really have the Church in mind when he stated “... they will live in their own land, which I gave to My servant Jacob?” - Ezekiel 28:25. The conclusion that “the Church is Israel” is to interpret scripture allegorically - not literally! How then did Replacement Theology ever come to dominate the teaching of the Church? It is the natural outcome of allergisation and a fundamental assumption that because Israel rejected Yeshua (Jesus) as Messiah, God has cast off the Jewish people as a chosen nation. Consequently, in judgment, God has dispersed the Jews into the nations. The land of Canaan, promised to Abraham and his seed has been forfeited and the Jews no longer have a legal claim to it. When we look at what has happened to the Jews since the 1st Century, Replacement Theology would certainly appear to have history on its side – at least until recently (1948). On the surface the evidence is substantial. Within a generation of the Crucifixion of Yeshua, the Roman army ransacked the City of Jerusalem, totally destroyed the Temple and with it the sacrificial system of worship. They uprooted the Jews from the land and carried them off to various parts of the empire. To the early Church Fathers, these events were convincing proofs that God was finished with Israel and that the Church had assumed Israel’s former role in the purposes of God! The suffering of the Jewish people did not end with the cruelty of the Roman legions. Jewish history since that time has been filled with tragedy. The horrible suffering of the Jews has been a direct result of Replacement Theology, rather than a cause. If Replacement Theology had NEVER been taught in the Church, the atrocities inflicted upon the Jewish people in the last 2,000 years would never have happened. The Crusaders are often remembered in Christendom for their chivalry, faith and zeal. In reality, many of the Crusaders were cruel men who hated Jews with a passion. Innumerable atrocities were committed against Jews by the Crusaders. From Rouen in France, through Germany, the Balkans to and including Jerusalem, Crusader mobs burned Jews alive in their houses and temples and forced conversions. In 1000 AD, when the Crusaders first arrived in the Holy Land, there were 300,000 Jewish residents. When the Crusaders left the scene 200 years later only 1,000 Jewish families remained. In Prague alone, they murdered several thousand Jews. The cry “Hep! Hep!”, an abbreviation of the Latin phrase: Hierosalyma est perdita, “Jerusalem is lost” originated with the Crusaders as they pillaged and continued as a pogrom chant into the 20th century. 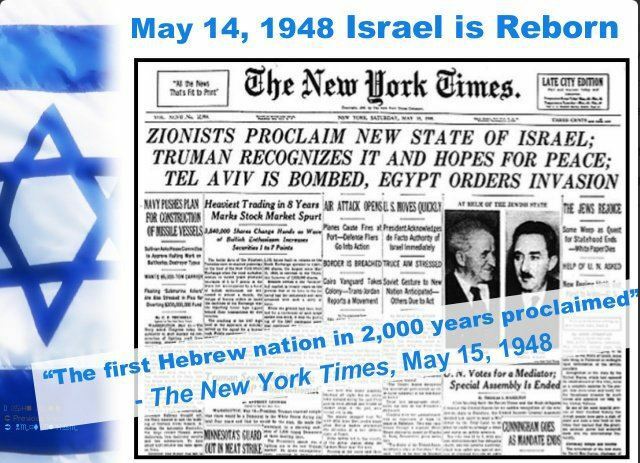 Until the return of the Jews (Jeremiah 16:14-15; Isaiah 14:1) to the land and the establishment of the State of Israel in 1948 "Replacement Theologists" appeared to have history on their side! This dramatic new and Prophetic chapter in Israel’s history is still unfolding before our eyes …and renders this argument of history null- and-void. We’ve seen that the history of the Jews, rather than proving that God has cast them off, actually proves the opposite – that God still holds His chosen people in the palm of His Hand. He has preserved Israel as a nation in spite of every imaginable threat to her existence! So why hasn’t Replacement Theology died once and for all? How can it be that in recent years Replacement Theology and Antisemitism seems to actually gain an even wider following? The answer: Replacement Theology appears to be logical and consistent with God’s character. Replacement theology asks a logical question: "How could a just God contradict His nature by bringing the Jews back to their land?" After their banishment into exile the vast majority still haven’t changed their "stiff-necked" ways and accepted Yeshua (Jesus) as Messiah. In addition, agnostic, even atheistic, secular Zionists, not the redeemed of the Lord, established the State of Israel. A popular view of modern Israel sees the state as cheating Palestinians of their property and denying their rights and so how could God be a party to such injustice?" It appears logical to conclude that a just God could not bring the Jews back to the land and re-establish a political state under these circumstances and remain true to His justice. One would have to be blind to not recognize that the Jewish Nation is far from perfect. We must not forget one important fact: while God is a God of justice, He is also a God of mercy (Romans 9:14-15). A question I would like to ask every Christian who believes in "Replacement Theology" ... "Did God save you and restore you because you deserved it – because you earned it?" We need to be reminded of Ephesians 2:8 which says, "For by grace you have been saved, through faith – and that not of yourselves, it is the gift of God." If the Lord saved only "good people" none of us would be saved. Likewise, if Israel does NOT deserve to be restored to her Ancient Homeland … then neither do we deserve to inherit the Kingdom of Heaven. God has chosen Israel in spite of Israel, just as He has chosen all of us in spite of us …and chosen you in spite of you. The Jewish people are the "apple of His eye" (Zechariah 2:8). They are uniquely called. In Romans 11:28-31 Paul addresses those in the Church of his day that believed God was finished with Israel (Romans 11:28-31). God is just – He must punish the unrighteous. But the Bible tells us that justice has already been meted out. God Himself provided the atoning sacrifice to take the punishment that each of us deserves, Jew or Gentile (Romans 5:8) …not after we’ve gotten our act together or after we’ve started living a righteous and holy life. No, God, in His grace and mercy, and as a result of His sovereign election, took the initiative and saved us in spite of ourselves. Halleluyah! Why should we imagine that God would treat His chosen people Israel any differently then He treats us? We should be praying on behalf of Israel to our Righteous Judge! (Habakkuk 3:2). The implications of Replacement Theology are frightening. If God has changed His mind concerning His promises to Israel, then how can we be sure He hasn’t changed his mind concerning His promises to us – the Church? Praise God, He is the same yesterday, today and forever. God never changes; His gifts and callings are irrevocable. The following passage from Jeremiah 33:25-26 should be sufficient to demonstrate Replacement Theology as fiction, not fact! We can only do this work through the faithfulness of caring partners and are so grateful for everyone that supports our work in Israel. It takes every drop to fill the bucket and you are like "refreshing raindrops" to Israel’s needy children and families. You may not be on the frontline but you are very much a part of this success …and, you make the difference - thank you so much! We most sincerely believe that God WILL bless you for your faithfulness and love for His land and His chosen people. God’s Word is true! He IS watching to see how the nations are treating His people. God will have mercy on Israel through Gentile believers acting as mediators towards them. This is one of the most amazing revelations ever given to the church – an opportunity to do something that carries the highest priority in the heart of God. Yet, sadly, so few have seen the potential and the rewards of serving God in this manner - as agents of mercy to Israel and the Jewish people! Israel was and still is despised today and a despised nation continually turning away from God BUT nothing ever altered the purpose of God for that nation. The despised element is always a noticeable element in the purpose of God. When the Saviour of the world came, He came of that despised nation; like Israel… He Himself was "despised and rejected by men," …and there is that despised element; "…things that are despised God has chosen," 1 Corinthians 1:28. Now, more than at any time is the time to support Israel and the Jewish people - the Lord’s Brethren! We are witnessing the nations and people turning their backs on Israel. Thank you once again for your prayers and generous support!